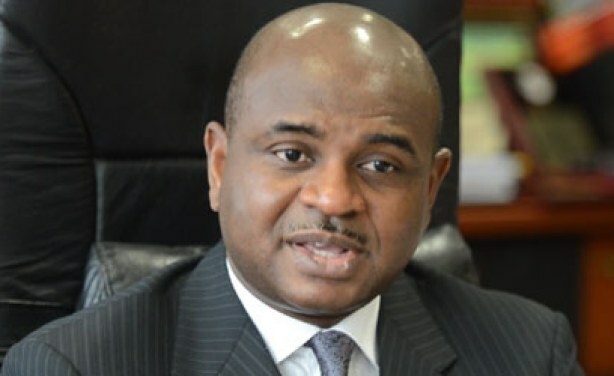 Kingsley Moghalu, former CBN deputy governor and professor of the practice at Tufts University in the US, and Omoyele Sowore, publisher of the New York-based SaharaReporters, have signaled their intention to run for the office of president of Nigeria. This is not an endorsement of any of them, but a reflection on the possibilities and hopes that they excite. Given the tremendous excitement that their announcements are generating in Nigeria, especially among the youth, it’s worth giving a thought to who they are and what they might bring to the table should they get the chance to lead Nigeria. Since at least the mid-2000s, Nigeria’s exilic elites, particularly in the United States, have forged lasting, internet-enabled transformative linkages with their homeland, the popularity and centrality of SaharaReporters in Nigeria’s media landscape being a prominent example of that. The entrance of two important voices in Nigeria’s US diaspora in next year’s presidential contest is a significant milestone that elevates this home-diaspora connection. In his influential book titled Kinship and Diasporas in International Affairs, Professor Yossi Shain pointed out that people who deterritorialize from their home countries and reterritorialize in other countries actually only leave their home countries physically but not emotionally. He said diasporans think of themselves as being “outside the state but inside the people.” It is this notion of being “inside the people” even when physically separated from them that drives the participation of diasporan Nigerians in the affairs of their home country. This is the context of the foray of these two diasporans into Nigeria’s presidential contest. I have a fair amount of familiarity with both Moghalu, 55, and Sowore, 47. Although I have no informed opinion on Moghalu’s tenure as CBN’s deputy governor, I have interacted with him since his relocation to the US in the past couple of years. He is, without a doubt, one of the best brains Nigeria has produced. He has an impressive mastery of the political economy of development and has written well-received books and articles on the subject. He also strikes me as a cosmopolitan, well-bred person who isn’t beholden to narrow, primordial loyalties, and who understands the complexities of Nigeria and the defining role leadership can and should play in managing national differences. 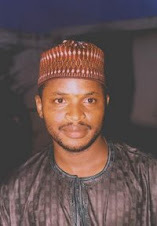 He is energetic, passionate, and brims over with fresh, innovative ideas about governance and inclusive growth. I’ve enjoyed reading his think pieces and penetrating insights on Nigerian politics and economy. Of course, based both on my personal biography and intellectual temperaments, I differ a bit with him on his prescriptions to get Nigeria out of the woods. During one of our conversations, for instance, he said "some of the reforms required to sort out the challenge are likely, even if well executed, to still be unpopular—at least temporarily." I misinterpreted him, given his background as a central banker, as endorsing the familiar neoliberal policy prescriptions for developing countries that almost always consist in stripping the poor of government subsidies while leaving intact the often unearned perks and privileges of the ruling elites. You may quibble with his economic prescriptions, but you can’t deny that he is a deeply informed thinker who invests considerable intellectual energies in formulating his positions. His experience working with the United Nations—from where Sanusi Lamido Sanusi brought him to the Central Bank of Nigeria— which afforded him the opportunity to compare and contrast the economic systems of different countries of the world certainly redounds to his credentials. Sowore may not have the intellectual sophistication of Moghalu, but what he lacks in erudition he makes up for in drive, enthusiasm, and consuming patriotic fervor. I first met Sowore at the University of Lagos in, I think, 1994 when he was president of the University of Lagos student union government. I saw him leading the public shaming of members of violent student gangs popularly known as “secret cults” in Nigerian universities, which didn’t exist at the Bayero University in Kano where I was an undergraduate at the time. His fearlessness in taking on these monsters of depravity head-on in broad daylight frankly unnerved me. I met him again here in the US and have related with him robustly over the last decade. From his days as an uncompromising, principled, and intrepid student activist to his transition to prodemocracy activism against military totalitarianism to his transformational diasporan citizen media activism, he has remained uncommonly consistent. His passion to salvage Nigeria from the blight inflicted on it by successive leaders has never wavered. 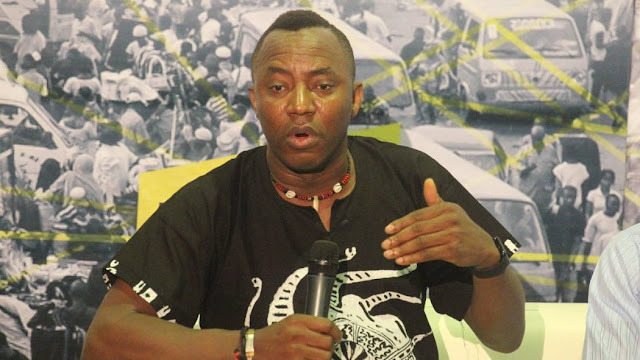 While several former activists of our generation have retreated to their ethnic and religious cocoons, Sowore has never faltered in his pan-Nigerian nationalism. You may accuse him of activist exuberance, but you can’t question the genuineness of his patriotism. The narrative that there are no credible alternatives to Buhari who aren’t tethered to the dark past is no longer tenable. My own hope is that people like Moghalu, Sowore, Dangiwa Umar (if he decides that he wants to participate in partisan politics), and others like them should form a united front and choose a person to serve as an alternative to APC and PDP candidates. They can’t afford to divide their votes. Doing so would give victory handily to the corrupt, visionless, and bankrupt gerontocrats who have stalled Nigeria’s growth since independence. I had naively thought that Buhari would initiate the process toward Nigeria’s reclamation, but he is turning out to be worse than Jonathan in every index of governance. The government he heads is so unfathomably incompetent it's not even vaguely clued in on what path to tread to solve the country's unbearably enduring economic problems. It shouldn’t be rewarded with a second term unless Nigerians have a perverse taste for violent self-immolation.